This year, in preparation for the holiday period, OLBI took part in the University of Ottawa’s Stocking Drive to offer gifts to children of local families. We hope that the gifts we have collected will make families happier in this festive period. We would like to thank our two elves, Rachel Robillard and Noémie St-Jean, for coordinating this beautiful initiative within our office. We would also like to thank all OLBI members who donated: your generosity will help bring joy to the lives of five children of the region. On behalf of all of us at OLBI, we wish you happy holidays! This year, the OLBI Language Management Interdisciplinary Research Group (GRIGL) and its director, Dr. Monika Jezak, promoted excellence in language policy research in the National Capital and on the national level. 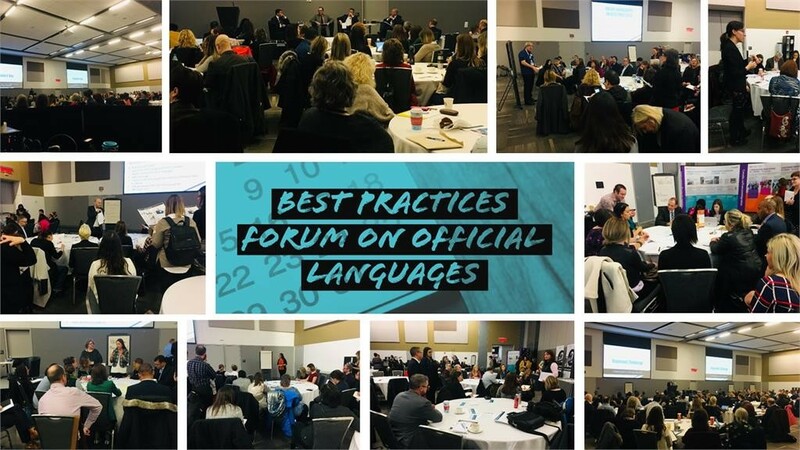 On November 29, during the Forum on Good Practices in Official Languages, Dr. Jezak presented one of the Group’s most recent projects, the Compendium of Language Management in Canada (CLMC). More than 200 federal government official languages champions had gathered at the Shaw Centre in Ottawa for this forum. On November 2, with the collaboration of Statistics Canada analysts Émilie Lavoie and Alejandro Paez Silva, the Group organized a workshop on the manipulation and interpretation of census analytical data. The workshop attracted 30 people, among them University of Ottawa researchers, public servants from various federal government administrative units, and parapublic organizations representatives working in language policy. 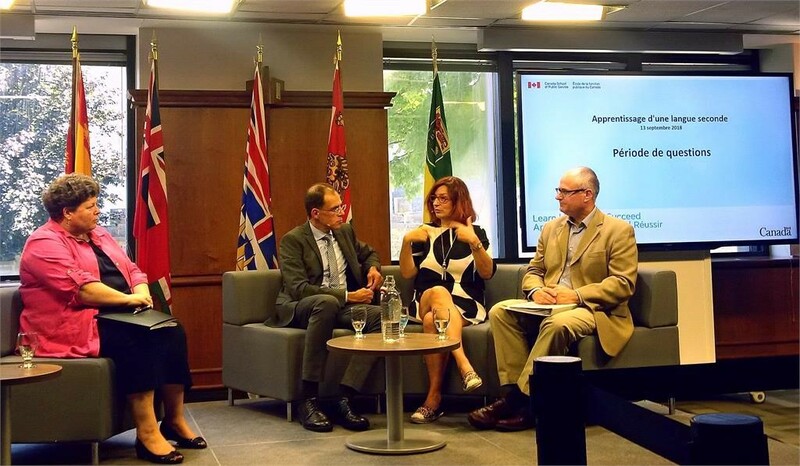 In mid-September, Dr. Jezak also participated in the Public Service of Canada's Linguistic Duality Day. Along with the Commissioner of Official Languages, Raymond Théberge, the President of the Public Service Commission, Patrick Borbey, and the Acting Executive Director of the Treasury Board Secretariat's Centre of Excellence for Official Languages, Carsten Quell, Dr. Jezak discussed the important issue of this important issue. The event was broadcast by videoconference to hundreds of federal employees across Canada. OLBI is proud of the implementation of all these initiatives and thanks everyone for their efforts in affirming the Institute’s leadership in the field of language management. The Master Program in Bilingualism Studies opens a World of Possibilities! Do you know any graduating university students passionate about bilingualism? The Master of Arts in Bilingualism Studies is offered either full-time or part-time with two options: with a thesis or a research paper. With excellent career prospects for graduates both in Canada and abroad, this program is an excellent choice to deepen their knowledge and launch a flourishing career! Learn more about all the courses and register. The recent CBIE Conference (Canadian Bureau of International Education) held in Ottawa in November, featured a workshop on the benefits of building a strong institutional partnership between Language Programs and Admissions Offices. Evan Lavoie, Manager, Second Language Intensive Programs, was on hand to co-lead the workshop and share OLBI’s perspective. Supporting language learners throughout their programs and with their transitions to university academic programs requires a coordinated effort and communication between the sectors is essential for adjusting to the changing realities of international student recruitment and academic integration. Throughout the highly interactive session, participants had the opportunity to share their institutional models and their own challenges and successes and discuss best practices. Overall, the workshop offered a great platform for idea generation and network building. For more information on the CBIE.